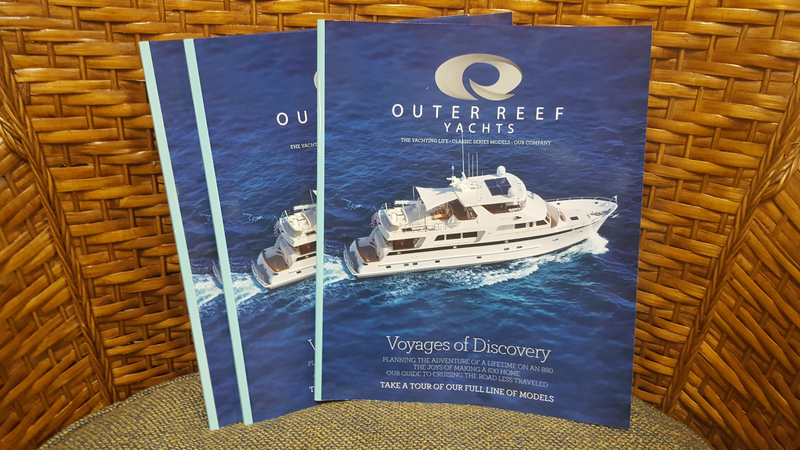 Hot off the press, Outer Reef Yachts' new 2017 Classic Series full line brochure is now available for your reading pleasure. Not only does the brochure feature all of the important information specific to each Classic Series model, you can also read stories as to how current owners are cruising their Outer Reef yachts, CEO Jeff Druek's philosophy for the company as we move into 2017, cruising destinations that shouldn't be missed, safety tips, and more. To request a hard copy or electronic version, please contact us here and notate Full Line Brochure in the Message section.